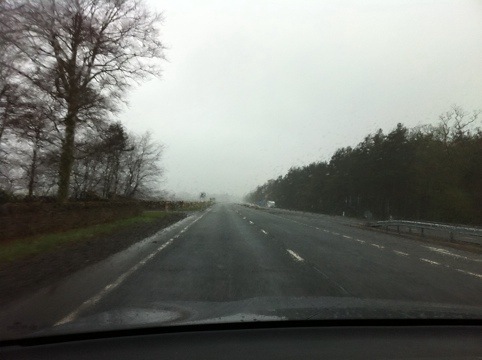 I’m on the road at the moment, on my way to Edinburgh to catch a flight to Majorca in the morning. So this week’s photo challenge is real and personal. It’s raining and it’s difficult to believe only last week we had the hottest temperatures in March! 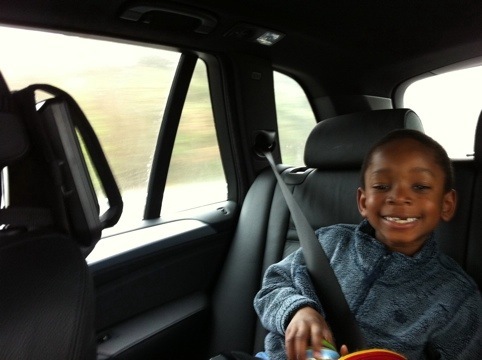 My kids seem fine – car DVD players work wonders. 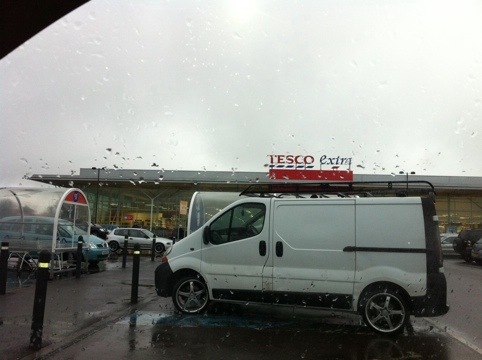 We’ve had to make a pitstop at Tesco’s. So it’s been quite a journey so far. Sorry about my less than sharp photos. All I have is an iPhone and a storyline. love this – I have made so many journeys to Edinburgh Airport. are those two charmers twins? Or is it just the car seats? Nah. The boy will 7 in September and my daughter is coming up to 3 and going on 13. so it’s probably just the car seats… :-). Thanks for stopping by! I’ve been good. A business trip kicked my booty this week lol. I hope you’ve been good as well :). 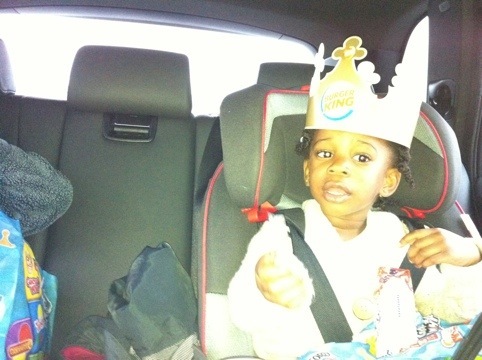 Love the darling princess in the backseat. Happy journeys. Are we there yet? A happy journey for sure! Thanks for sharing yours with us all. Happy Easter!